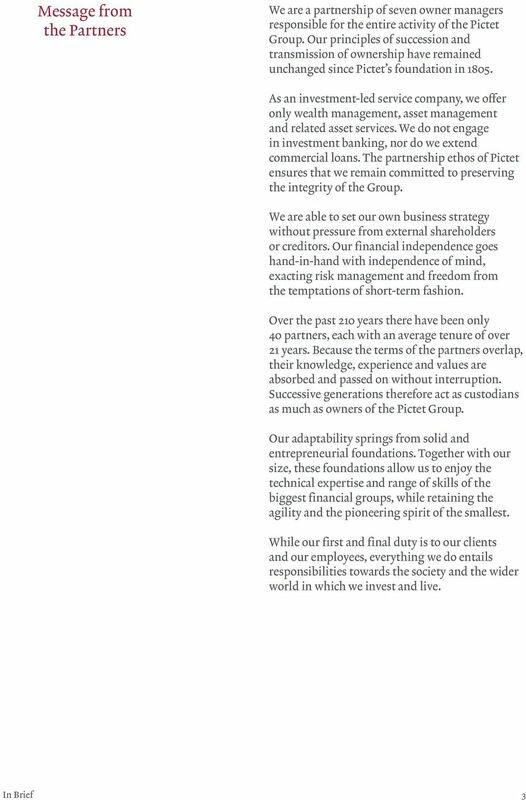 Download "In Brief February 2015"
The PLF business is strategically important for GAM, Switzerland s leading PLF provider not tied to a specific bank. Cornèr Bank Group. 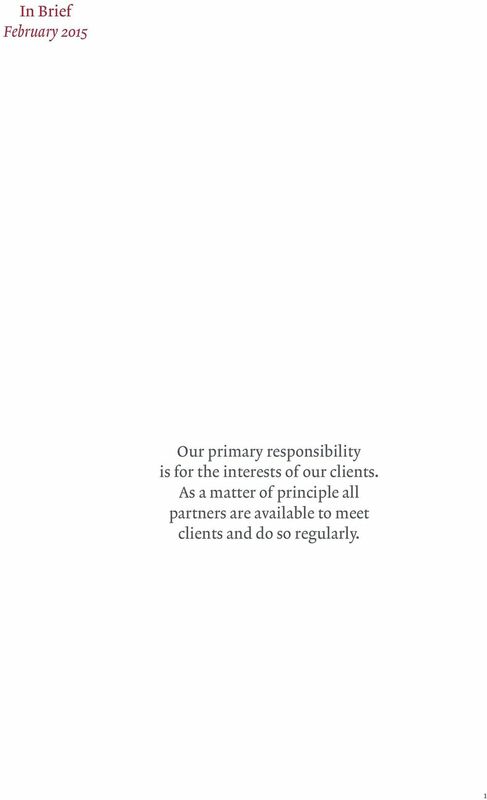 Products and services for private Clients. Your values, our values. 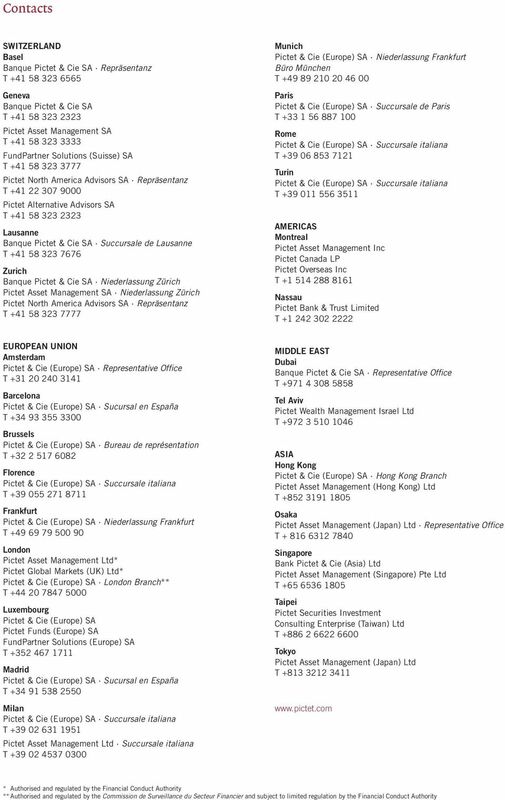 Credit Suisse Equity Fund Management Company Société Anonyme, 5, rue Jean Monnet L-2180 Luxembourg, R.C.S. Luxembourg B 44 867 www.credit-suisse. Information Technology. GSK. The Difference. 1. Eligible investors 2. Supervision 3. 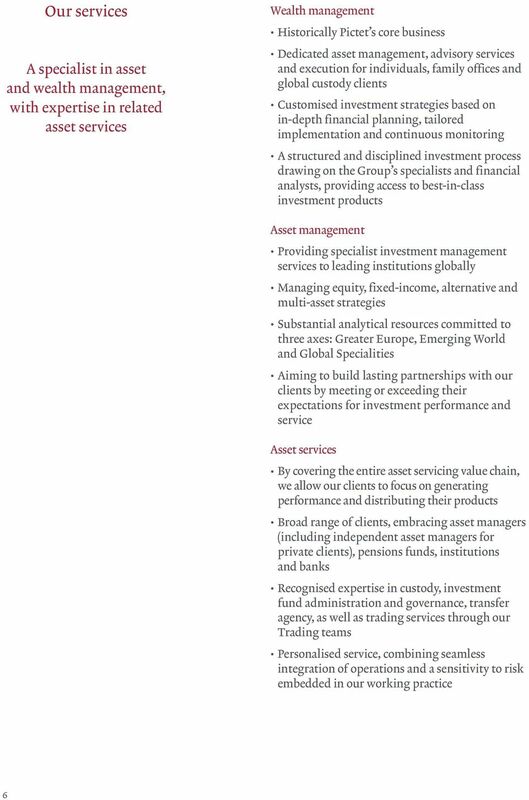 Asset management 4. Disclosure and reporting obligations 5. Legal form 6. Depositary 7. INDEX SERIES FTSE PUBLICATIONS. 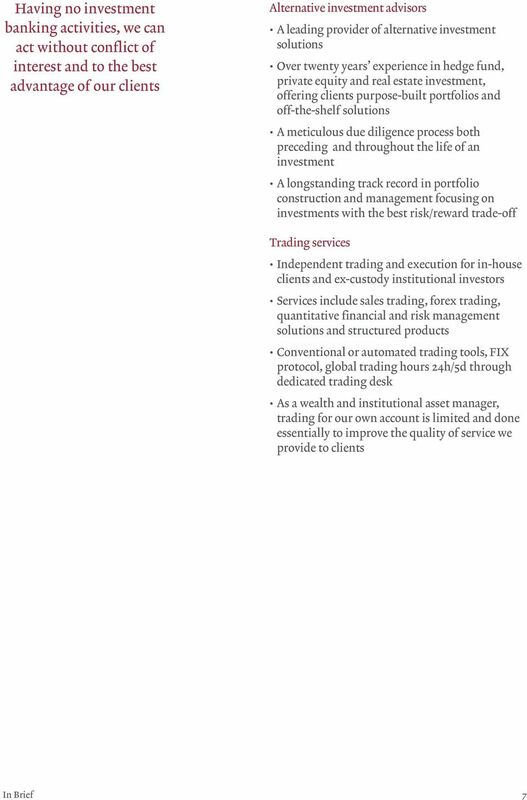 FTSE ETF Issuer Services. 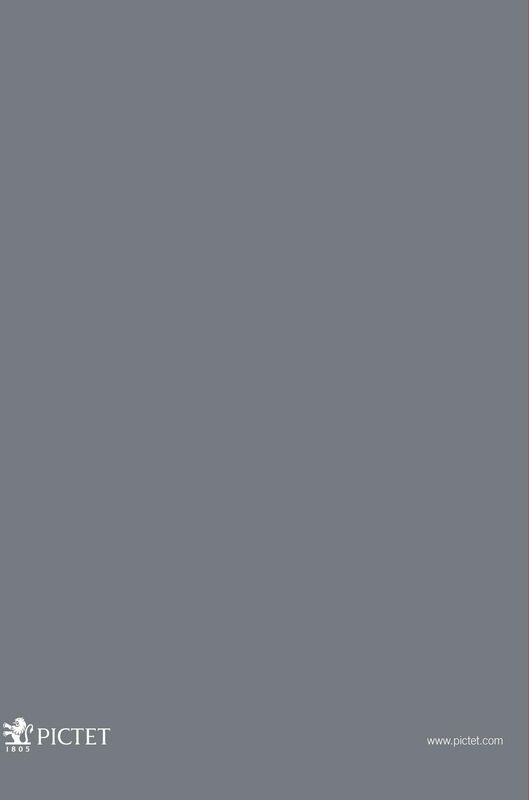 Methodology 1. Introduction The are free float-adjusted market capitalization weighted indices designed to provide exposure to companies that have high Environmental, Social and Governance (ESG) performance. Performance Attribution (PART) Module in BondEdge Can you justify your performance vs. your benchmark s? Yield curve exposure. Sector allocations. Spread risk. Foreign exchange fluctuations. Security selection. 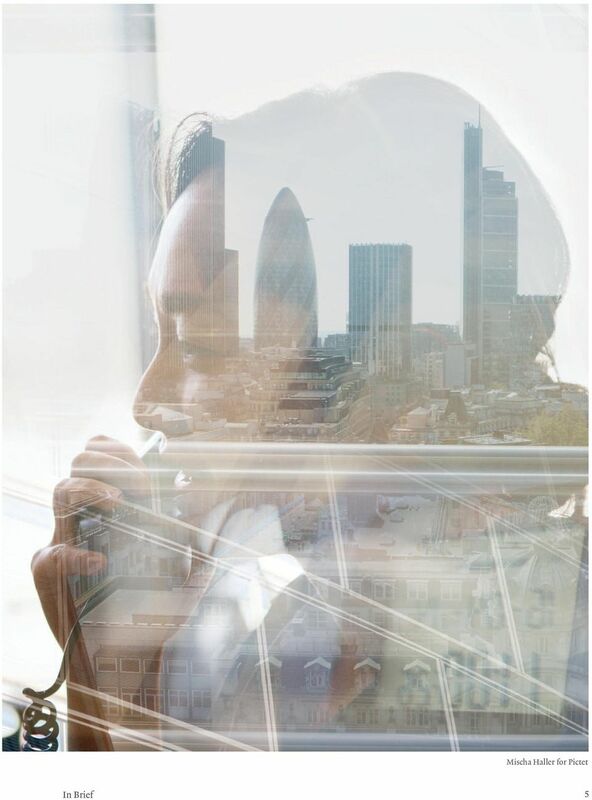 Structured products by Vontobel deritrade More flexibility for your clients and for you. 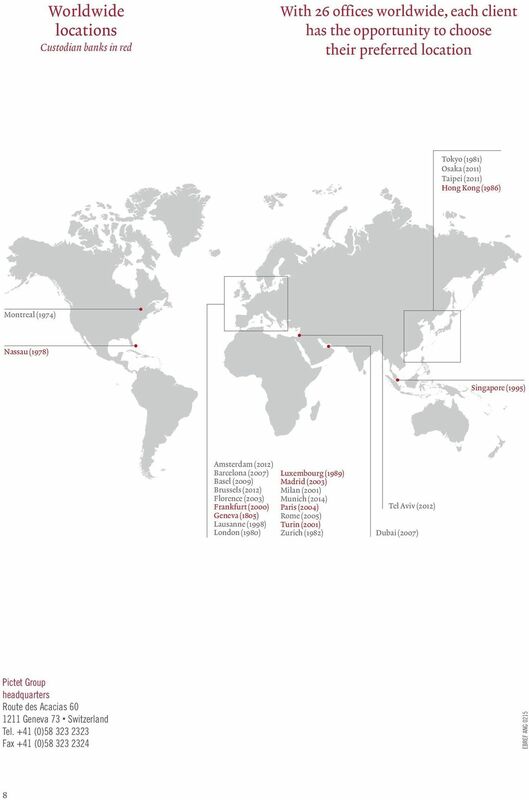 Vontobel Financial Products (Asia Pacific) Pte. 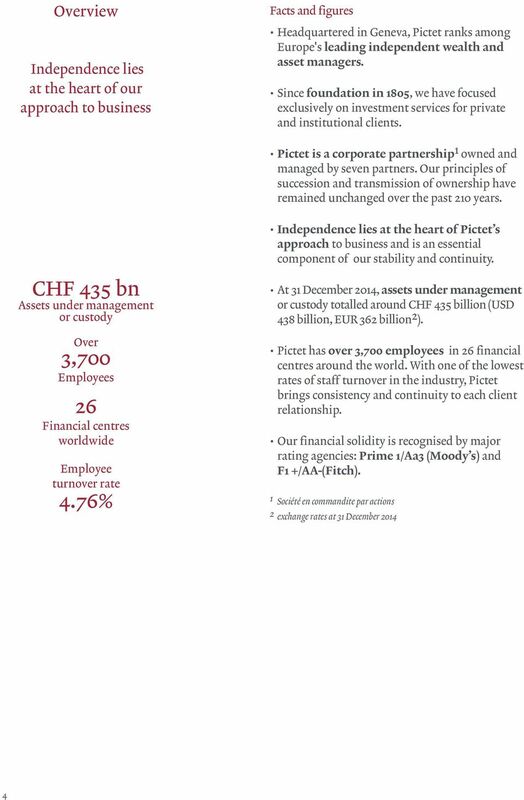 Ltd.
Pictet enjoys a solid rating among the banking industry peers today, being awarded AA- longterm rating from Fitch for eight consecutive years.